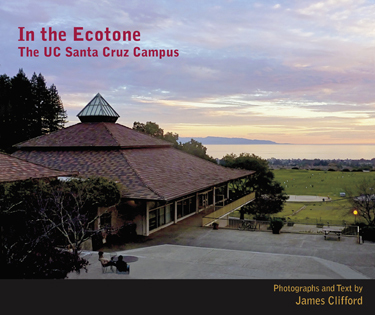 In the Ecotone: The UC Santa Cruz Campus is a new book by emeritus humanities professor Jim Clifford that reflects on the campus as an extraordinary architectural and ecological site. 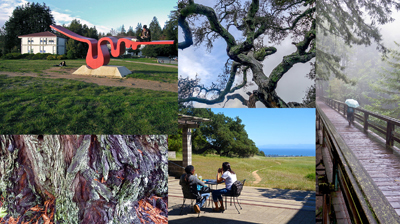 The photographs are all taken between 2001 and 2015, while the text tracks UCSC’s experiment with environmental design from it’s very inception, follows it through changing times, and contemplates its continued significance. Clifford described how the project came about. “I wanted an outlet for my growing archive of photographs. And I thought we needed more strong images of the place,” he explained “After Ansel Adams’s black and white photos from the ‘60s, there isn’t much that’s easily available—just some postcards (all taken when the sun is shining)." “I see it as an addition to The excellent Natural History and the wonderfully weird Unnatural History of the Santa Cruz campus,” he added. Clifford will discuss the interaction of architecture and ecology at UC Santa Cruz on Tuesday, March 8, when he delivers the 2016 Spring Emeriti Faculty Lecture on campus at the Music Center Recital Hall, beginning at 7:30 p.m. Admission is free and open to the public. 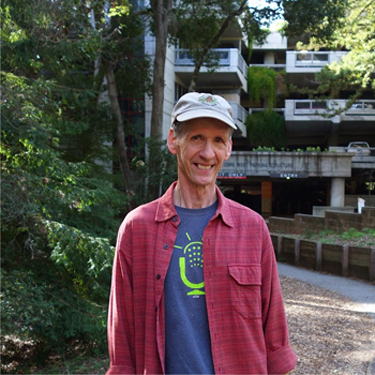 Clifford came to UCSC in 1978 to join the History of Consciousness Department. He earned a Ph.D. from Harvard in history, but benefiting from the interdisciplinary environment at UC Santa Cruz, he has worked extensively in cultural anthropology and literary/cultural studies. He was the founding director of the UCSC Center for Cultural Studies and is a Guggenheim Fellow and Member of the American Academy of Arts and Sciences. His books include The Predicament of Culture, Routes: Travel and Translation in the Late 20th Century, and most recently, Returns: Becoming Indigenous in the 21st Century. He retired in 2010. 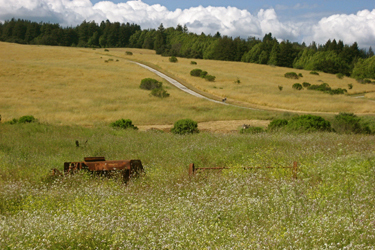 Clifford noted that no other university has been built on so complex and rugged a site as UC Santa Cruz. In the Ecotone: The UC Santa Cruz Campus is available for $12.95 at the UCSC Bay Tree Bookstore, as well as at The Literary Guillotine and Bookshop Santa Cruz. For more information about the free 2016 Spring Emeriti Faculty Lecture on March 8, call (831) 459-5003 or contact specialevents@ucsc.edu.